Our Hybrid Roadshow was an exciting event! The all new, next-generation Hybrid models were delivered to Crossings for 2pm on the 12th of January, to a crowd of people excitied to see the Camry Hybrid, Corolla hatchback Hybrid, Corolla Saloon Hybrid and of course, the bigger, bolder Rav4 Hybrid. We had the models in the Showroom until 8pm and still had people coming in the doors to see the new vehicles right up until they were removed to be brought to the next location. The Hybrid Roadshow will be running until the end of the month, so if you missed it here at Crossings, there might be the opportunity to visit another Toyota Dealership in another county before the end of the tour. For many people this was their first chance to view the new cars, as a number of the models have only just recently gone into production for delivery in the next couple of months. In fact, 3 out of 4 of the vehicles we had in the Showwroom were left hand drive! Which may have been a little bit confusing, but just goes to show you how new the vehicles are! In fact, Ireland is the first country to have such a Roadshow, as the vehciles haven't even been displayed in the UK yet! We took plenty of orders at the Event, and expect many more orders to be placed in the coming weeks as the final delivery date for the new models draws ever closer. Demand is high, so if you have been thinking of upgrading to one of the new Hybrids, don't hesitate to give us a call to find out all about our FANTASTIC 191 OFFERS such as 3 years Servicing on all new models and 3 years free 24hr Roadside Assistance as standard. 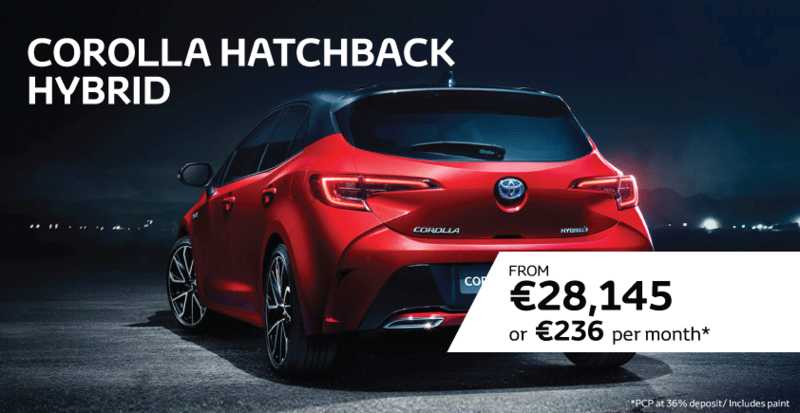 In fact, we have made the Upgrade to Hybrid even easier as you can now Upgrade for Less with Toyota Finance and avail of our Trade In- Trade Up Booster of up to €3,000. 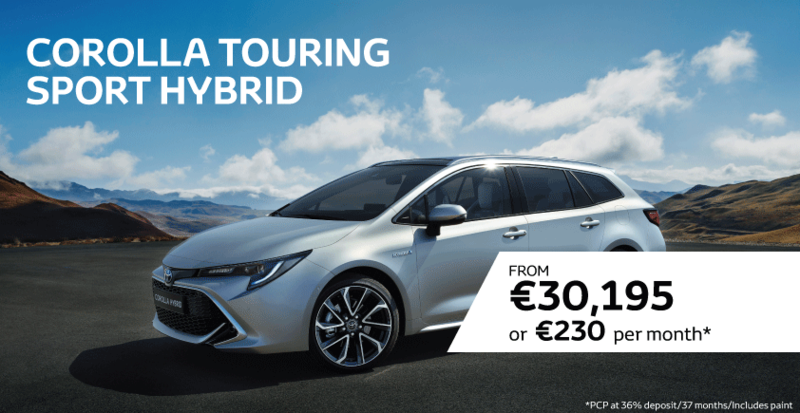 To avoid disappointment and be the envy of all your friends with your new Hybrid model, make sure to place your order early! 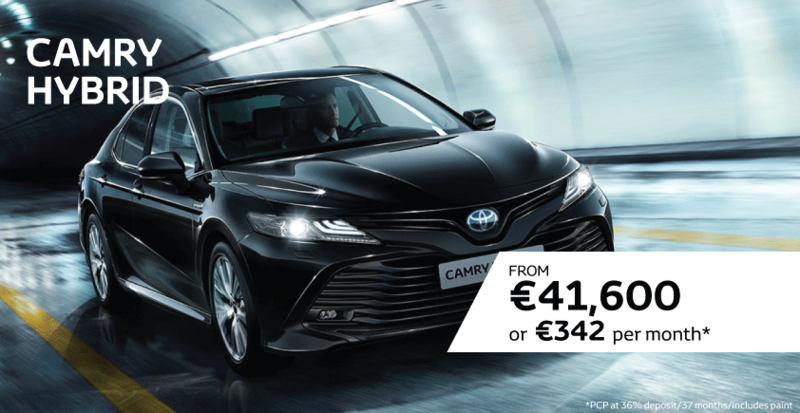 After an absence of 14 years, Toyota is re-introducing the Camry in Ireland and across Western Europe, to maintain the brand’s presence in the D/E-saloon segment. Available as a self-charging hybrid, the new Camry expands Toyota’s line-up of hybrid electric vehicles to 8 models. Its 2.5-litre hybrid electric powertrain combines fuel efficiency and low emissions and quiet operation with more power and greater responsiveness. The all-new Camry is the 8th generation of a car that has won countless awards and distinctions since it first went on sale in 1982. The model is sold in more than 100 countries globally, with sales totalling over 19 million units to date. With annual sales of more than 700,000 units globally, Camry remains the best-selling D/E-segment saloon in the world. Renowned as the world’s best-selling car, with more than 45 million vehicles sold worldwide since its introduction in 1966. And, for the first time ever, the Corolla Saloon is arriving as a self-charging hybrid and will feature a 1.8-litre self-charging hybrid powertrain. It will also be available with a 1.6 petrol engine, but we predict that 90% of Saloon sales in 2019 will be hybrid. The first-ever Corolla Saloon hybrid is part of the new game-changing 2019 hybrid generation. It offers low cost of ownership, outstanding fuel economy of only 3.4 l/100 km (WLTP 4.3 l/100 km) and CO2 emissions of only 77 g/km (WLTP 98 g/km), while offering up to 50% all-electric drive on the everyday commute. All TNGA-based vehicles prioritise the highest active and passive safety standards. 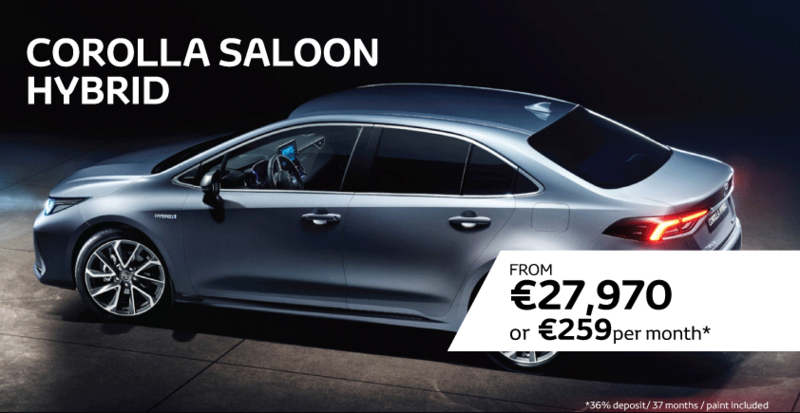 And, fitted as standard with the sophisticated functions and systems of the latest Toyota Safety Sense technology, hybrid versions of the new Corolla Saloon are no exception. To coincide with Toyota’s New Global Architecture, which adds new dimensions of styling, driving dynamics and performance, the world’s best-selling nameplate the Corolla, is being adopted for the Corolla Hatchback, replacing the Auris name. This is a very, stylish car. The all-new Corolla TS features a dynamic, sleek, refined and versatile design. Created and developed in Europe, the Touring Sports' body type makes it a key model for people looking for practicality and style without compromise. Reflecting the brand’s continued focus on hybrid technology, the Corolla Touring Sports will offer customers just one conventional engine -a 116 hp 1.2 litre turbo petrol unit- and a choice of 122 hp, 1.8 litre or 180 hp, 2.0 litre hybrid powertrains. This latter is a unique proposition in this segment as no other conventional powertrain can offer the same combination of performance and low emissions. With its sleek design, spacious interior and pioneering technology, the all-new 2019 RAV4 remains true to its heritage by continuing to define the SUV segment. 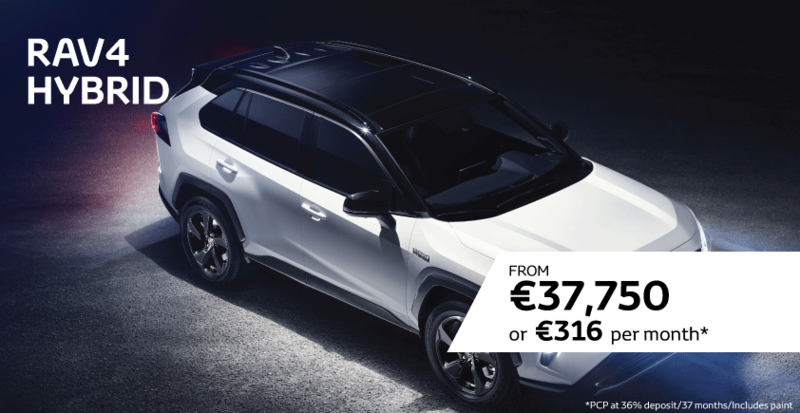 The first RAV4 to be built on a Toyota New Global Architecture platform, the 2019 RAV4 makes significant advances in powertrain technologies, dynamic performance, intelligent safety provisions and all-round quality. The new TNGA platform means it's larger, safer, more comfortable and quieter to drive.